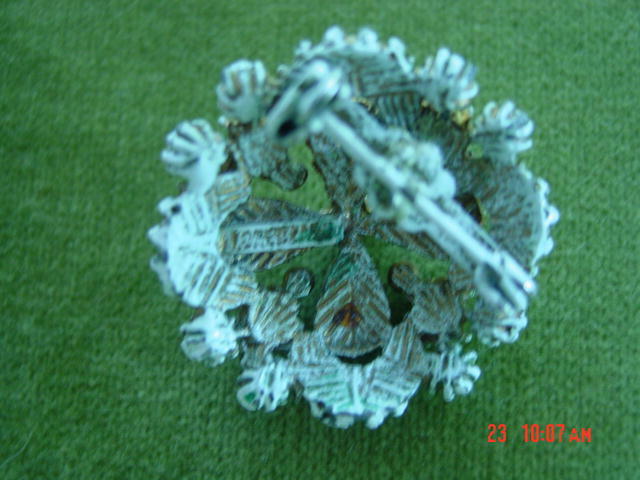 What a beautiful Victorian Krementz pin this is! 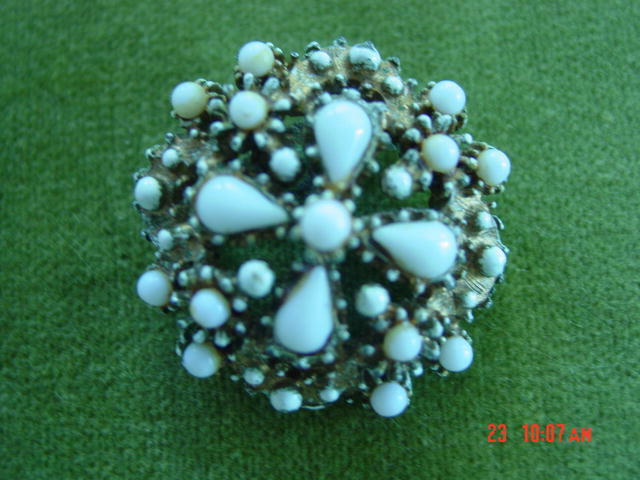 It is gold and has an intricate pattern in a round shape. The center has four white enamel teardrops with a small round bead in the center. It is dotted with enamel beads around the edge, and is dusted with white enamel on the back where you can see the old KREMENTZ plate. Three of the small beads on the top have lost a tiny bit of their enamel. 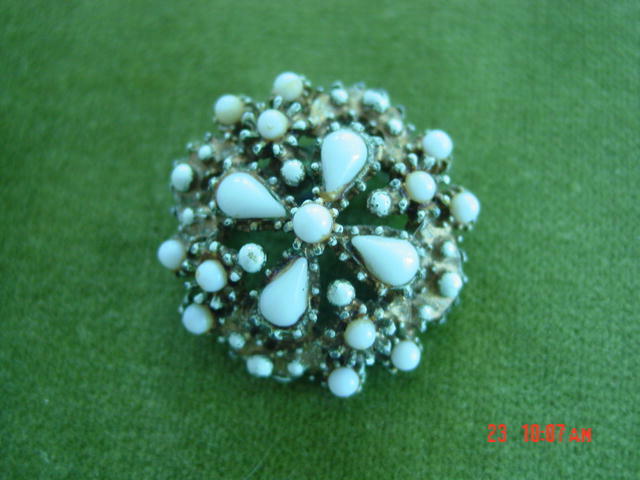 Otherwise, this pin is a gorgeous sample of Krementz jewelry! Items Similar To "Gold White Enamel Krementz pin"